Chat with artists from around Australia as they paint giant artworks during the annual Jamestown Mural Festival. 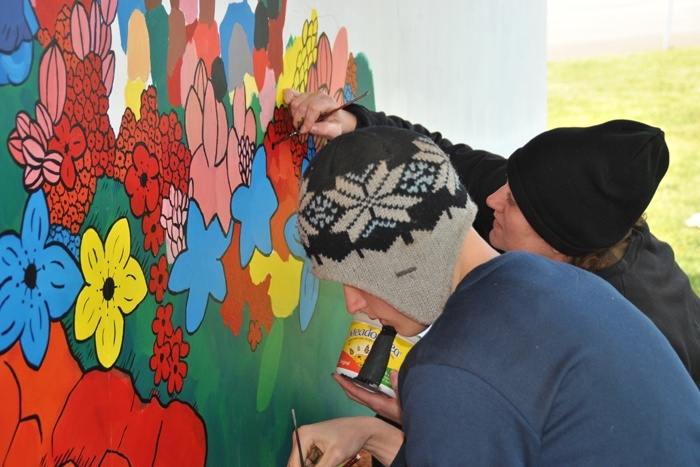 Artists gather at the eastern end of Ayr St and spend four days creating spectacular three metre long themed murals and compete for a cash prize. The artists love interacting with locals and visitors alike. Enjoy the festivities on the final afternoon when it’s ‘brushes down’ and the judges make their decision. Cast your vote at the newsagency for the People’s Choice award all year round – you could win a prize too!